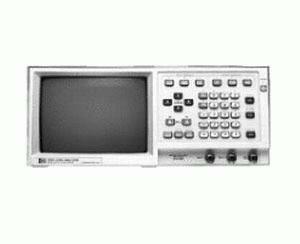 The 1631D provides a digitizing oscilloscope and a logic analyzer in one low-cost instrument. Its analog,timing,state and system performance analysis capabilities function separately or interactively to serve the needs of digital design and test engineers. The 1631D provides up to 43 state channels, 16 timing channels and two analog channels. single-shot time intervals to +-1.5 ns.